Stay Up-To-Date in 2017 & Beyond! Whether you’re an estate planning attorney, CPA, financial advisor or life insurance agent, it’s important that you stay on top of the tax and law changes to be able to provide the best possible planning for your clients—and it's even more important that you do this with the pending election, and tax and law changes that will surely be soon to follow! We have enlisted the help of nationally renowned CPA and tax planning expert, Robert S. Keebler, CPA/PFS, MST, AEP (Distinguished), CGMA. Bob Keebler and his team at Keebler & Associates have agreed to put together a consolidated monthly bulletin where you will get all of the things you need to know right at your fingertips and delivered to your e-mail inbox for you to review at your convenience. This way, you don't have to sift through pages and pages of briefings or complicated journals or make sure you're available on a specific day at a specific time. You get what you need to know, when you need to know it, and immediately in the convenience of your e-mail inbox each month. This monthly bulletin will help you avoid having to sift through all of the different IRS rulings, court cases, tax and law changes, etc. each month. 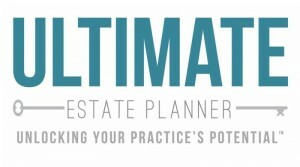 You can now have Bob and his team consolidated this information and provide you any pertinent estate planning strategies that you may be able to use for your clients as a result of these updates and changes. 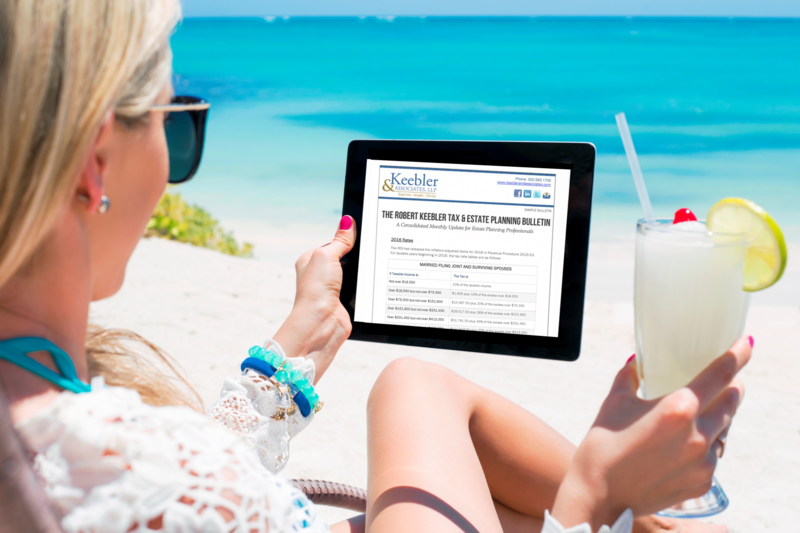 To review a sample of The Robert Keebler Tax & Estate Planning Bulletin, click here. Your credit card will be charged today for $49 $34 and charged every month thereafter. Your subscription will then automatically renew each month and you can cancel at any time. For additional savings, you can choose to pay for the next 12 months all up front. Your credit card will be charged today for $499 $379 and your subscription will automatically renew each year. You can cancel your automatic renewal at any time up to one year from the date of your subscription.